A Digital PBX (Private Branch Exchange) is a modern PBX phone system that utilizes digital methods for switching. Besides, Digital PBX is a system bundle with phone capabilities, fax, and other internet features. Digital PBXs are usually interfaced with computers and are internet-based. Activating your AlienVoIP SIP account, the Digital IP PBX can enable you to make calls to PSTN network. This is because of our mobile phone and telephones or computer are stay in PSTN or GSM network. 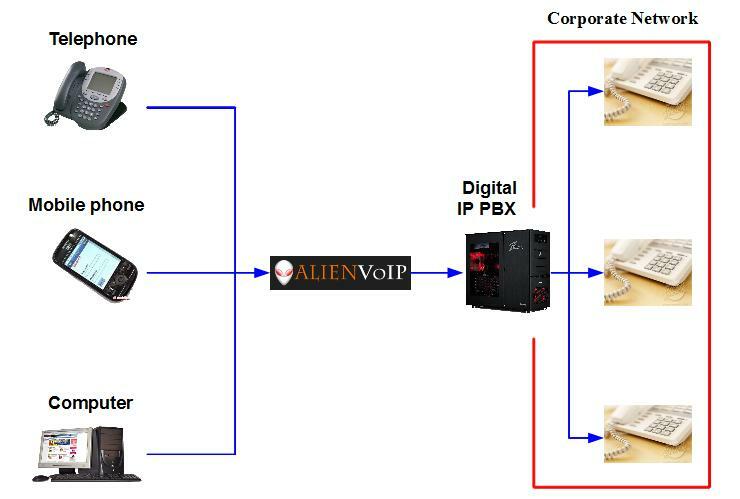 By using AlienVoIP SIP account in Digital IP PBX, the whole office is manageable through web user interface or computer. It means it does not require any phone hardware upon installation. The prodess of voice transmission is converted into digital instead of analog. 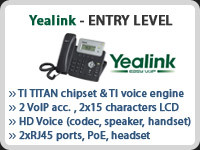 Yealink expands its lineup of IP phones with a new entry-level product SIP-T20P. It is equipped with TI TITAN chipset and 2×15 characters LCD, offers 2 VoIP accounts, high-definition voice, broad range of voice codecs and seamlessly work with IP-PBX and soft switch. SIP-T20P is easy to install and inexpensive to start up for corporate office and residential users. 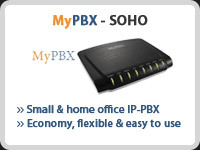 MyPBX SOHO is a standalone embedded hybrid PBX for small businesses and remote branch offices of larger organizations. 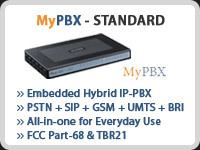 MyPBX also offers a hybrid solution (a combination of VoIP applications using legacy telecom equipment) alternative for enterprises who are not yet ready to migrate to a complete VoIP solution. MyPBX is a standalone embedded hybrid PBX for small businesses and remote branch offices of larger organizations (2-100 users per site). MyPBX also offers a hybrid solution (a combination of VoIP applications using legacy telecom equipment) alternative for enterprises who are not yet ready to migrate to a complete VoIP solution. 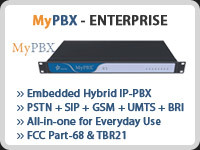 MyPBX Enterprise is a standalone embedded hybrid PBX for medium businesses and remote branch offices of larger organizations (1-300 users per site). MyPBX also offers a hybrid solution (a combination of VoIP applications using legacy telecom equipment) alternative for enterprises who are not yet ready to migrate to a complete VoIP solution. Any VoIP telephone adapter should be able to connect to conventional PBX as well, with the setup, a whole office can share a few SIP account, it is just like subscribing to any telephone line. Dial 0123456789 to Maxis handphone. 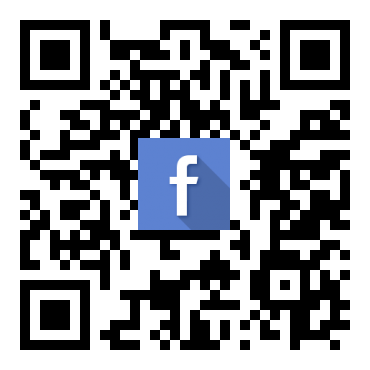 Please contact us immediately for any questions.